(SPOT.ph) Coffee has been there for you through countless deadlines and piles of work, so it's no surprise there's a holiday dedicated to the drink. It's also an excuse to score some coffee deals. 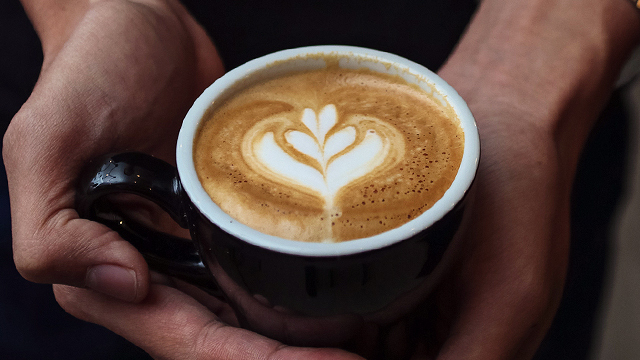 September 29 is National Coffee Day in the U.S. while October 1 is International Coffee Day, but coffee shops here celebrate both days, which means more caffeine for you! 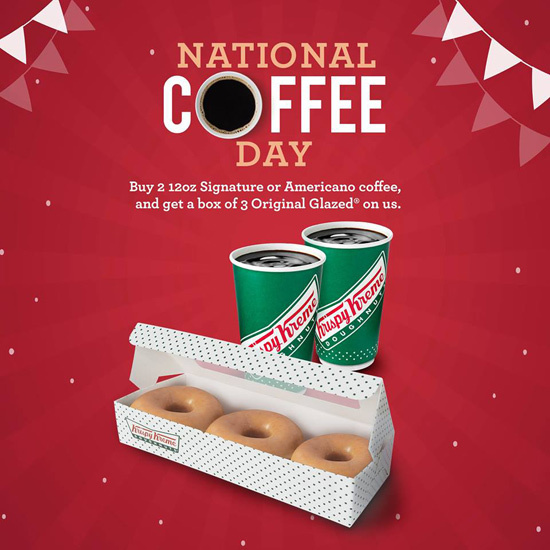 Krispy Kreme knows that nothing else goes better with coffee than doughnuts, so to celebrate National Coffee Day, they're giving away doughnuts. For every purchase of two 12oz Signature or Americano coffee, get a box of three Original Glazed doughnuts, for free. This sweet deal is available until October 1. See a list of Krispy Kreme branches. 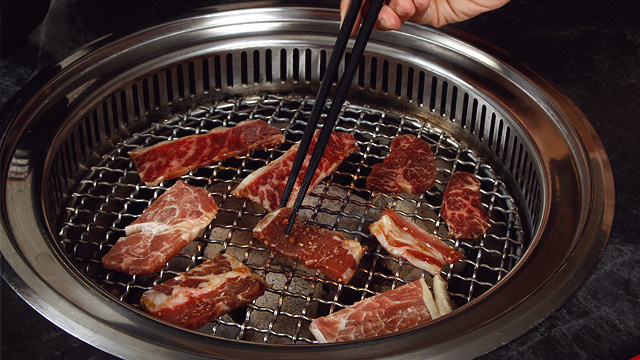 This promo is available in all branches except SM MOA Arena and NAIA. Need a quick pick-me-up drink? You don't need to spend much with this promo from Bo's Coffee. Until 4 p.m. today, get any medium-sized, espresso-based drink for only P90. 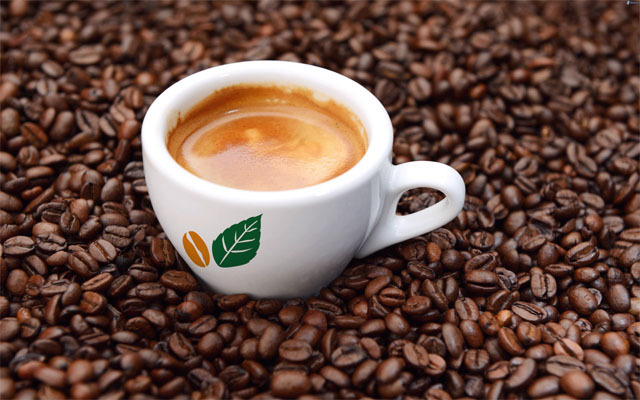 See a list of Bo's Coffee branches. You can catch some sleep on weekends and still get breakfast with UCC Café's All Day Breakfast items. 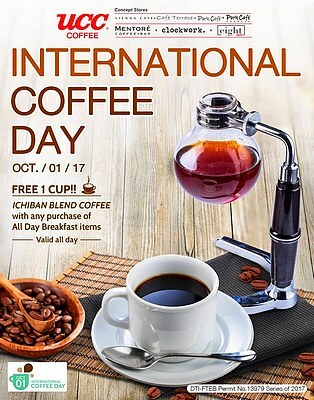 Plus, to celebrate International Coffee Day, you can also get a cup of Ichiban Blend Coffee on the house only on October 1. See a list of UCC Café branches. 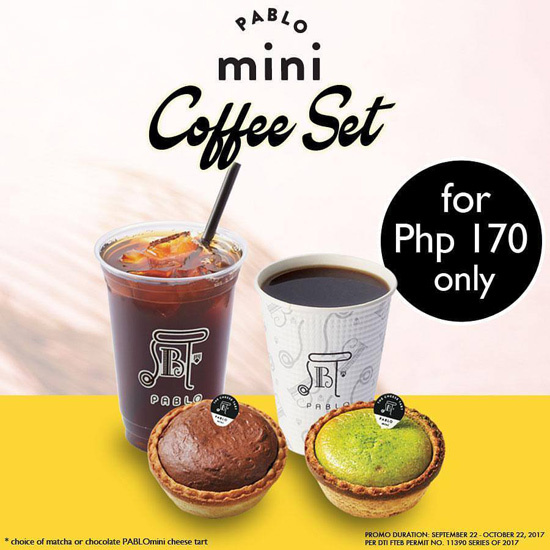 If you love munching on something while enjoying your cup of coffee, PABLO Cheesetart has the perfect promo for you. They're offering their signature coffee (hot or iced) and a mini Matcha or Chocolate cheese tart for only P170. 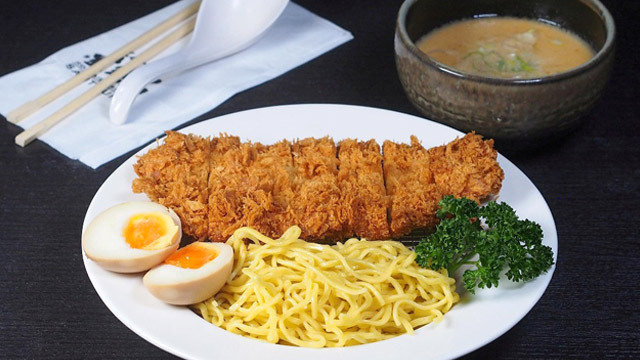 This deal will save you P75. You can get this combo until October 22. See a list of PABLO Cheesetart branches. 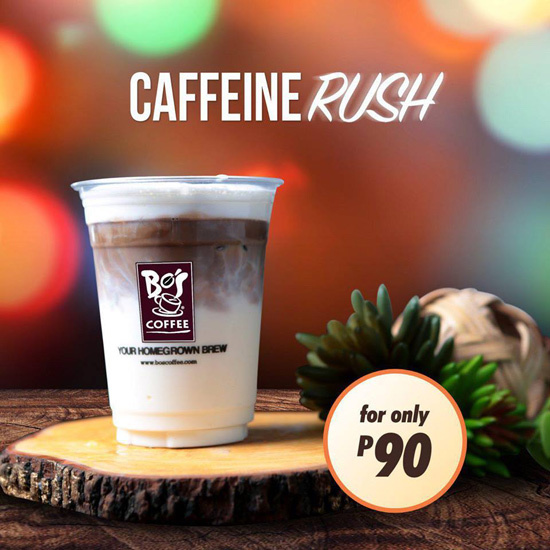 CBTL is giving you the perfect excuse to try a different coffee experience. 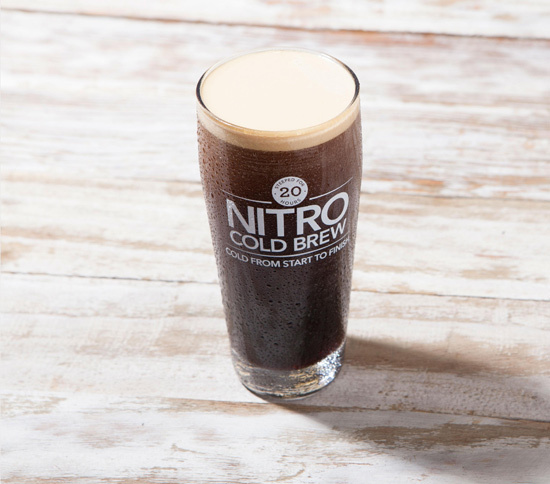 Just for today, September 29, buy any iced coffee drink and get it upgraded to Nitro Cold Brew. This kind of cold brew infuses coffee with nitrogen, giving it a creamier finish. The upgrade is only available at Coffee Bean and Tea Leaf Rada Street, Legazpi Village, Makati City; Burgos Circle, Bonifacio Global City; and Net Lima, 26th Street, Bonifacio Global City. Breakfasts at Spiral are about to get better. On October 1, Sofitel Philippine Plaza will start serving local coffee by Gourmet Farms every morning in lieu of the 3rd International Coffee Day. As an effort to support coffee growers in the Philippines, Sofitel will also begin selling Gourmet Farms coffee beans at Spiral 2 Go. Sofitel Philippine Plaza is at CCP Complex, Roxas Boulevard, Pasay City. Satisfy your sweet tooth at Costa Coffee with their newest drinks. 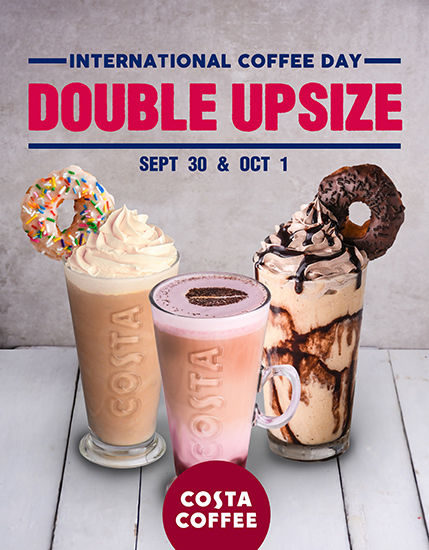 On October 1, get a free double upsize when you buy a Primo-sized Donut Latte, Strawberry Kiss, Double Donut Frostino or Vanilla Latte.